Nissan has become the latest company to jump into the smartwatch market. The Nissan Nismo concept watch claims to be the first watch designed to connect the car and the driver. It was unveiled on the eve of the IAA Frankfurt Motor Show 2013. 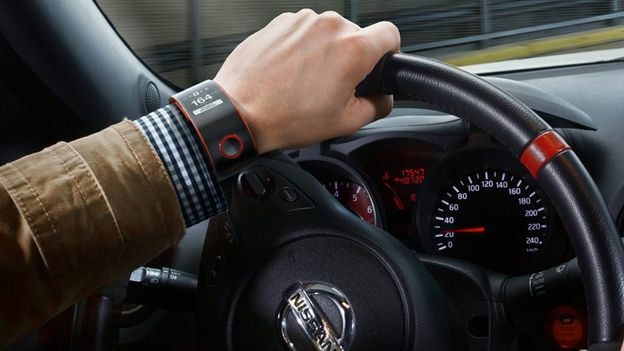 According to Nissan, the smartwatch will track a range of car and driver stats. These include biometric data to track how calm you are, as well as fuel consumption and performance data. Nissan describes the watch a using a snap-fit attachment. It says the watch will charge via microUSB and has a seven day battery life if used normally. The watch will be a companion device, rather than a standalone device. It will connect to the car via a smartphone app. Nissan said that the Nismo is just its first step into wearables technology. “Wearable technology is fast becoming the next big thing and we want to take advantage of this innovative technology to make our Nismo Brand more accessible,” said Gareth Dunsmore, marketing communications general manager at Nissan Europe. There is currently no official word on whether Nissan plans to launch the device, or whether it will stay as a concept.